Queen Elizabeth II has been hospitalized as a precaution, while she is assessed for symptoms of gastroenteritis, Buckingham Palace says. The 86-year-old monarch has been taken to King Edward VII Hospital in London, a palace spokesman said. All official engagements for this week, including the Queen’s trip to Rome, will be either cancelled or postponed. Queen Elizabeth was driven to hospital by private car on Sunday, and the palace said she was “in good spirits”. She had earlier carried out a medal presentation at Windsor Castle, where she has been resting over the weekend. A spokesman for the Queen said she was in “good health”, besides the symptoms of gastroenteritis. He said: “This is a precautionary measure. The Queen will remain in hospital under observation for about two days. 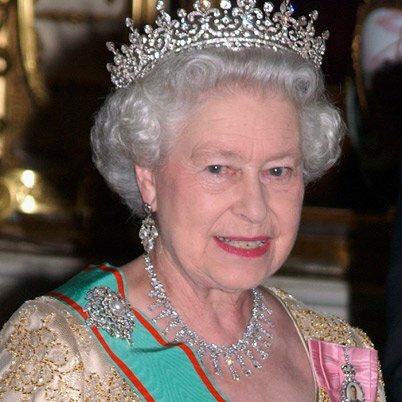 Queen Elizabeth was last in hospital 10 years ago for a minor knee operation. News of the Queen’s illness emerged on Friday night, and she was forced to cancel a trip to Swansea on Saturday to mark St David’s Day in a military ceremony. Gastroenteritis causes inflammation of the stomach lining and intestines. The infection can be transmitted through contact with an infected person or contaminated food and drink. Symptoms can include vomiting, fever and stomach ache. Commenting on the monarch’s medical condition, Professor Christopher Hawkey, of the University of Nottingham’s faculty of medicine and health sciences, said: “The likely cause with the Queen is the norovirus, the winter vomiting virus. “But not everyone can keep up with oral hydration, so it is pretty routine to go to hospital and have a drip and wait for the thing to pass and keep yourself hydrated,” he added. The Queen had been due to spend two days in Rome with the Duke of Edinburgh next weekend, at the invitation of Italy’s President Giorgio Napolitano. It is not now clear whether the visit will be re-scheduled. A reception at Buckingham Palace on Tuesday for MPs and MEPs will go ahead with other members of the royal family present. The Queen may well have gone to hospital slightly unwillingly, as her inclination is not to make a fuss. During last year’s celebrations for the Diamond Jubilee, the Queen spent a rain-drenched day journeying down the Thames as part of the river pageant – after which her husband, the 91-year-old Duke of Edinburgh, was taken to hospital with a bladder infection.